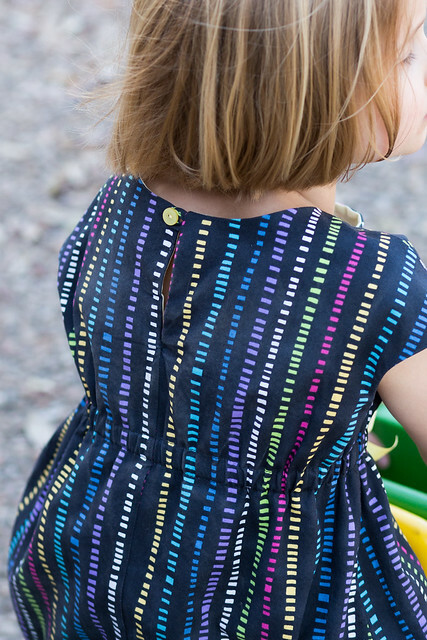 A few weeks ago, Oliver + S introduced a new pattern - the Roller Skate Dress. Prior to the release of this pattern, I was feeling somewhat uninspired. No matter what our creative passions are, we all go through times when we feel less inspired. It's inevitable. Sometimes we need to step back and give ourselves a breather. I unintentionally took almost a month off. Other times it helps to find something that inspires us- and then jump back in with both feet! This was exactly what I needed to do. It feels so good to be sewing again - it is so energizing. In my world with lots of dishes and laundry, having time to be creative feels like a need for me. It's how I recharge. 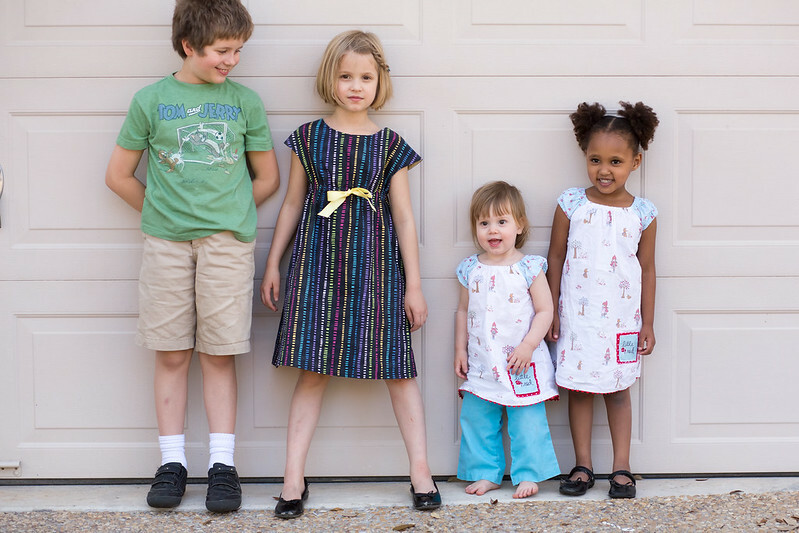 It's warming up here in Texas and I foresee more of these dresses in my girls' future. So sweet on the dressing alike. Now my 4 year old and 8 year old girls like to wear the same or very similar outfit! Nicole, that's so sweet! I love that! great dress! that fabric is stunning! Thanks Gail! The fabric is Summersville Spring. Looks fantastic!! Isn't this such a great pattern? Love when that happens - you're feeling less than inspired but a certain pattern or fabric line arrives and changes it all. I love the fabric, too! (And the fact that the girls want to dress alike--so sweet.) 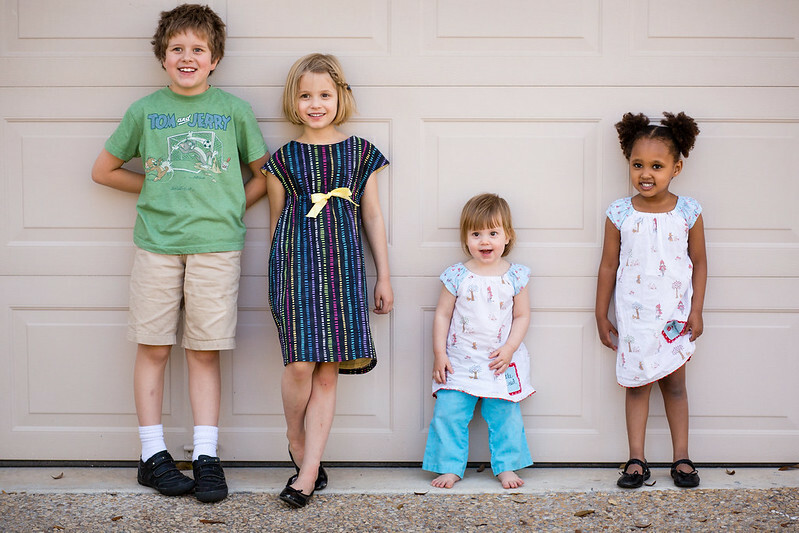 I think I already told you this, but your kids are really good at modeling! Especially Indigo. I LOVE that first pic of her and Jude--so cute. Love your roller skate - such a fab pattern. Your kids are so adorable!! I love your version of the dress. 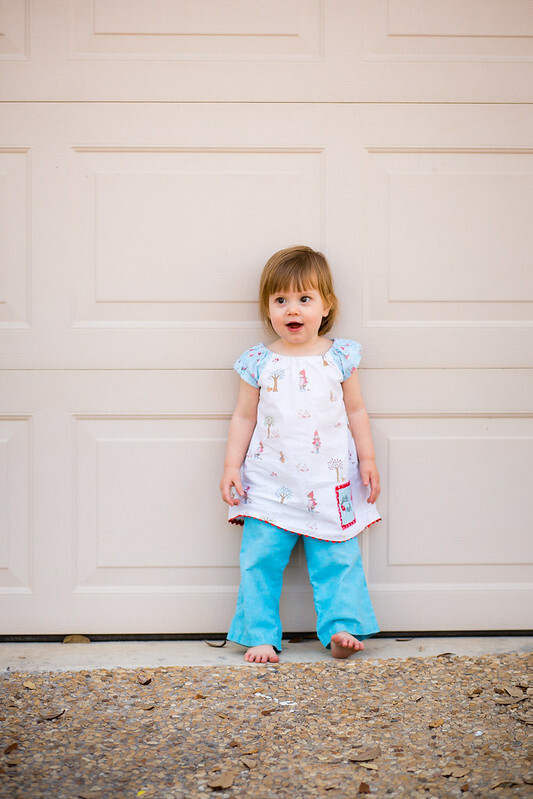 Your version of the roller skate dress is beautiful! I'm tempted to make a winter version for my little girl. i think it would make a great winter dress. made in quilting cotton it's actually quite heavy!